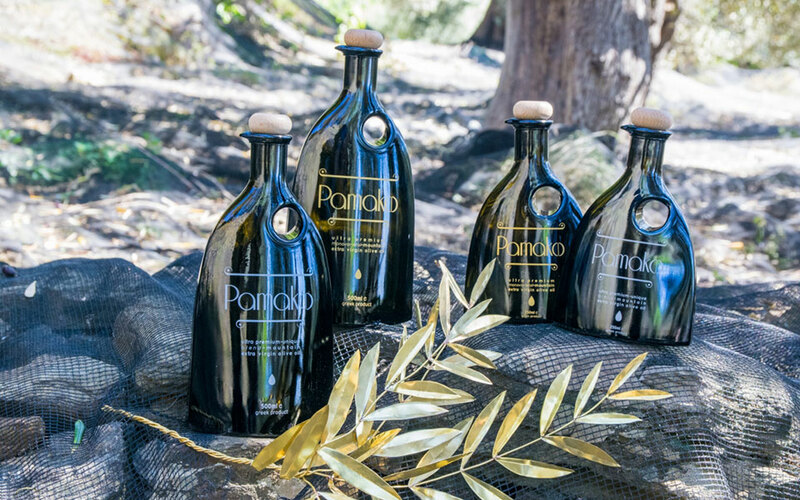 Pamako brand olive oils won two of the six major awards of the competition including Gold in the organic category. Quality is no simple matter for Androulakis, who conducted more than 120 experiments with his olive oil this year – experiments with harvesting techniques, milling times and temperatures; with ways of pressing the olives (both with and without their pits); and with the use of the inert gas argon to keep out oxygen which can degrade olive oil. “All these tiny, tiny details make a difference, in my opinion.” With his “colleague and best friend” Michalis, whom he is grateful to have working with him in the mill, Androulakis was aiming for both the perfect flavor and the optimal health benefits from his high phenolic extra virgin olive oils (EVOOs). This focus on quality is a hallmark of the Cretan competition and its participants. 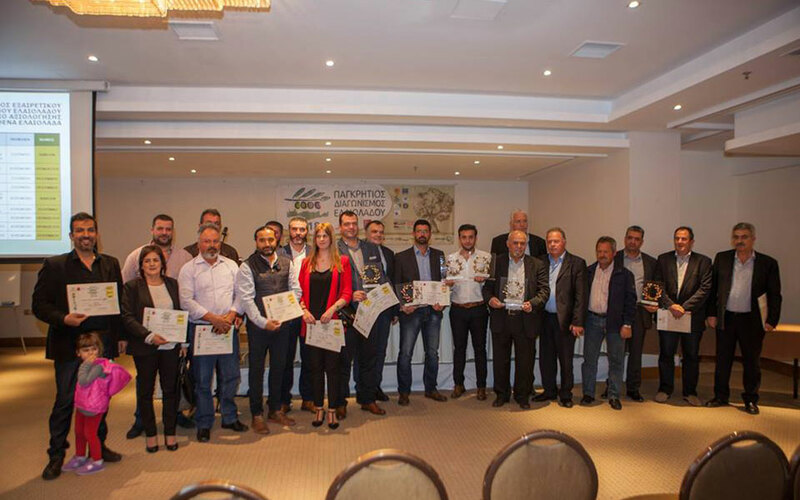 Organized by the Agronutritional Cooperation of the Region of Crete and directed by olive oil tasting panel supervisor and international judge Eleftheria Germanaki, this was a regional competition conducted at the Organoleptic Evaluation Laboratory of Rethymno. Notably, its panel supervisors are both internationally recognized experts: the Italian agronomist, consultant, and olive oil judge Antonio Giuseppe Lauro, and the Greek chemist and organoleptic trainer for the International Olive Council, Effie Christopoulou. In fact, Christopoulou was one of the pioneers of the organoleptic method (using taste to determine quality) back in 1982. Manos Asmargianakis found that true when he won an honorable mention for Physis of Crete 0.2 and a Gold Elaia award for his one-month-old brand Korona Premium, the culmination of four years of efforts to achieve excellence. In addition to using a clean, modern mill and pressing the olives immediately after harvesting at cool temperatures, the Koroneiki olives for their Korona EVOO benefitted from carefully planned irrigation and pruning, the use of only manure as fertilizer, and an early harvest at the beginning of November. 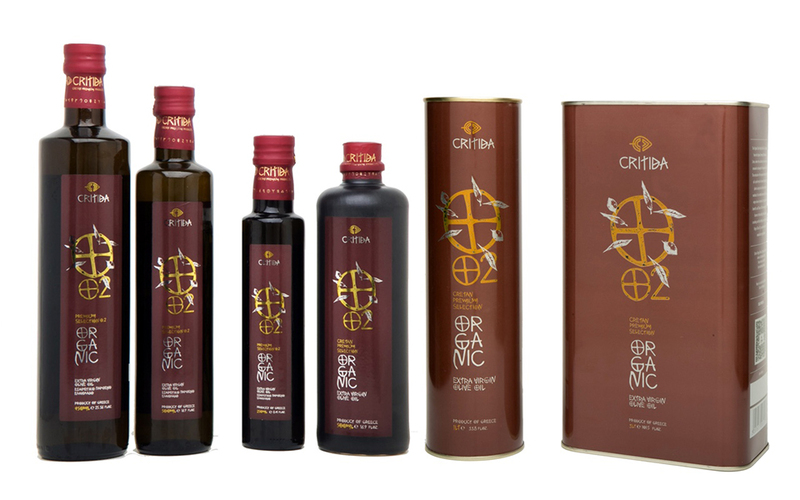 The Bronze Elaia for conventional EVOOs went to Terra Creta’s 42 Premium Blend, which is also produced with great care, but is uniquely composed of oils extracted from an astonishing 42 different types of olives. As Emmanouil Karpadakis explained, these olives came from three experimental olive groves belonging to the Institute of Olive Trees, Subtropical Plants and Viticulture in the Hania area. Starting last year, Terra Creta began working on these groves with scientific support from the institute, blending the oils for their sold-out limited edition. Another striking product, the Honest Olive Oil Group’s especially healthy, high phenolic Phenoil, captured the Bronze Elaia for Organic EVOOs. Acclaimed for its flavor and aroma, Phenoil is also particularly rich in the natural phenolic compounds that recent scientific research has associated with anti-inflammatory, antioxidant, anti-carcinogenic, cardioprotective and neuroprotective properties. The complete list of winners and honorable mentions is available on the Greek Liquid Gold: Authentic Extra Virgin Olive Oil website.